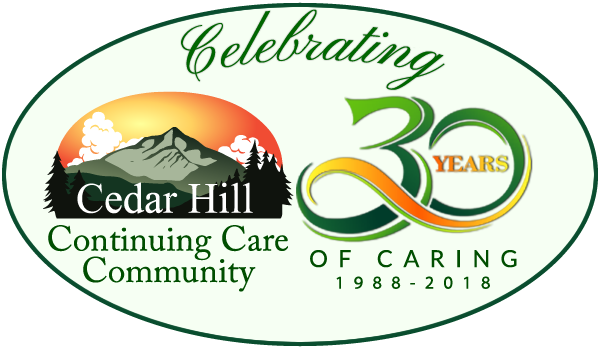 Cedar Hill Health Care Center offers short- and long-term nursing care in our skilled nursing center for up to 39 residents. The focus for residents here is on achieving and maintaining the highest level of independence and quality of life. 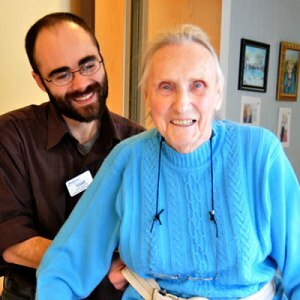 Compassionate support staff provides care to residents around the clock.We take pride in the personalized care we provide our Health Care Center residents. The main living area, with vaulted ceilings and large windows, is bright and overlooks the terrace, where residents enjoy the natural landscape and seasonal plantings that surround Cedar Hill here in Windsor. Live comfortably at Cedar Hill with the knowledge that highly qualified professionals are available all day, every day, providing the care and assistance you need, whenever you need it. 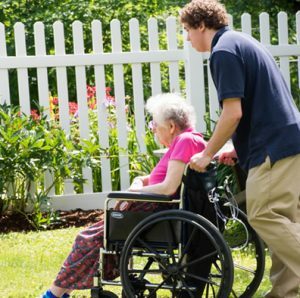 Our full spectrum of elder care services includes clinical coordination; nursing care; and physical, cognitive, and speech rehabilitation (or therapies). In addition, we have a dentist, podiatrist, and a mental health therapist who make house calls alongside our doctors. Cedar Hill’s staff and onsite counselors can work with families and residents during the adjustment period and as needed. Our welcoming staff includes a full activity department, social services and admissions, and dining services. Our dining program provides residents a choice of menu items for every meal. Residents thrive while socializing with neighbors and enjoying any one of our many planned activities and outings. Our activities department loves to include families in events and many families make a point of visiting when local entertainers visit. Our annual family picnic and Father’s Day Car Show are family favorites, and you never know who is going to drop in for a visit, whether it’s an acapella choir, local schoolchildren for Adopt-a-Grandparent Day, or therapy dogs, bunnies, baby chicks, or mini horses from nearby farms! We also enjoy regular visits from local clergy to nourish the spirit, and Cedar Hill Health Care Center has a part-time chaplain on staff who conducts services and visits residents. Cedar Hill in Windsor began as a residential care home before expanding into skilled nursing and short term rehab for the elderly. 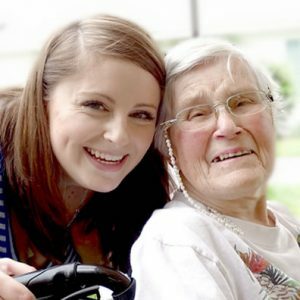 There are unique challenges for individuals who are living with Alzheimer’s and related dementias, and for their loved ones. 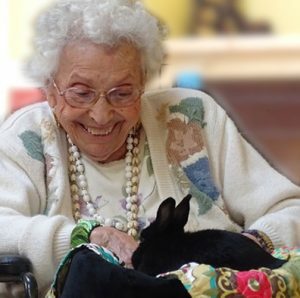 We developed Teddy’s Place as a separate wing to offer specialized care in the nursing home setting with programs and activities specifically designed to engage individuals with significant memory deficiencies. Our professional, compassionate staff has the experience and training in assisting and caring for residents with these special needs. We offer a safe, area for dining and everyday living, with ample space for walking and activities both inside our bright sunroom and outside in the garden. Here, as in all parts of our community, we take the time to get to know each person’s individual requirements and preferences. We utilize various therapies and activities, including light therapy, aromatherapy, and are certified in the nationally acclaimed MUSIC & MEMORY℠ Program. A recent surgery, injury, or illness may prompt the need for a short-term physical rehabilitation stay. At Cedar Hill, we offer a coordinated, holistic approach to rehabilitation. Our interdisciplinary team is comprised of professionals specializing in physical therapy, occupational therapy and speech and language therapy. Each therapy discipline evaluates you, the short-stay resident, and creates a treatment to help you regain your prior level of independence and function. Our therapists works together with our nursing, dining, social services and activities staff to create a comprehensive holistic treatment plan. It is this comprehensive approach to recovery that sets a skilled short-term stay at Cedar Hill apart. As we age our bodies face increased physical challenges. Healing and improving your physical, as well as your emotional well-being, is our goal at Cedar Hill. When you are ready, we work with you to secure the support services and equipment you need to return home. Our rehab program incorporates treatments to manage pain, reduce falls, and promote healing from injuries. In addition to the treatments listed above, we also provide wellness, music therapy, yoga, and aromatherapy in our short-term rehab center. 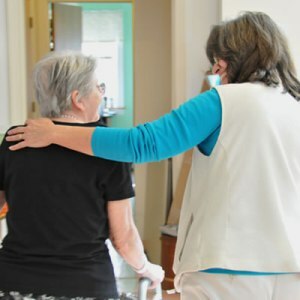 Cedar Hill’s rehabilitation services are part of the broader Cedar Hill Community, including the Village Independent and Assisted Living residences and Judith Brogren Memory Care Center. Rehab services are available to all residents, and the Center is also open to the general public. If you require short-term rehab after a hospital stay, we hope you consider Cedar Hill for your needs. Through the years our mission has remained steadfast: To improve the lives of our senior population. 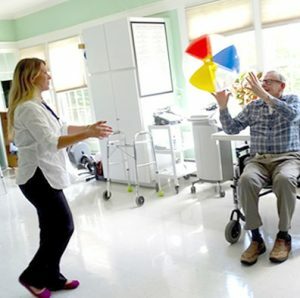 Should you require assistance with your recuperation we hope you will choose Cedar Hill, the leading skilled nursing facility for your rehabilitation in VT. Contact us to find out more about Cedar Hill Health Care.